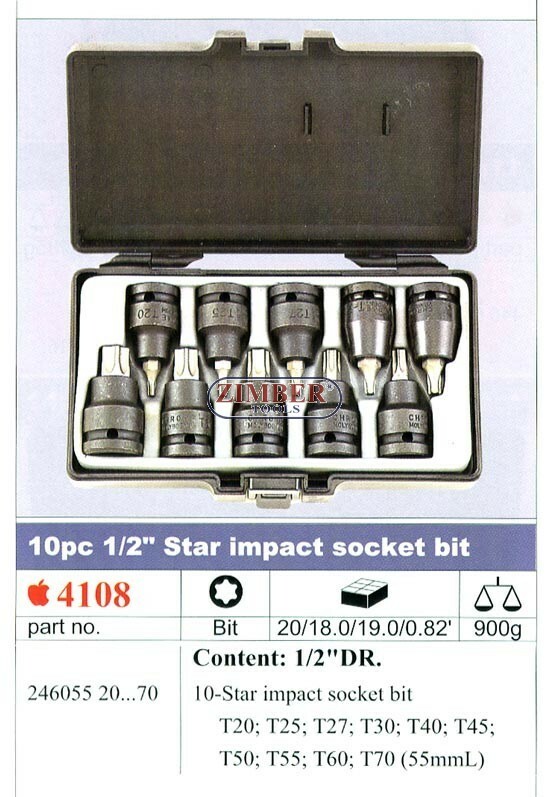 1/2" Star impact socket bit T20. 1/2" Star impact socket bit T25. 1/2" Star impact socket bit T27. 1/2" Star impact socket bit T30. 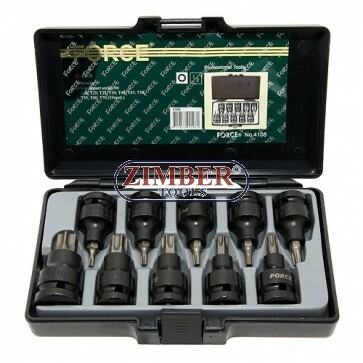 1/2" Star impact socket bit T40. 1/2" Star impact socket bit T45. 1/2" Star impact socket bit T50. 1/2" Star impact socket bit T55. 1/2" Star impact socket bit T60. 1/2" Star impact socket bit T70.